Organizations have increasingly recognized the value of building sustainability in this green climate of corporate responsibility. Their efforts represent more than a concern for the bottom line. Many fruitful areas that enhance sustainability can lead to healthier and more resource-efficient models of operation and maintenance in buildings. Building performance and sustainability are driving interest in HVAC system operation, including energy consumption. According to the U.S. Small Business Administration, HVAC systems account for about 40% of energy usage in commercial buildings. Aging and functionally obsolete sensor infrastructures in buildings do not enable granular energy monitoring. Even buildings that feature a Building Automation System (BAS) can fail to collect real-time utility submetering data. The sustainable path forward requires change. 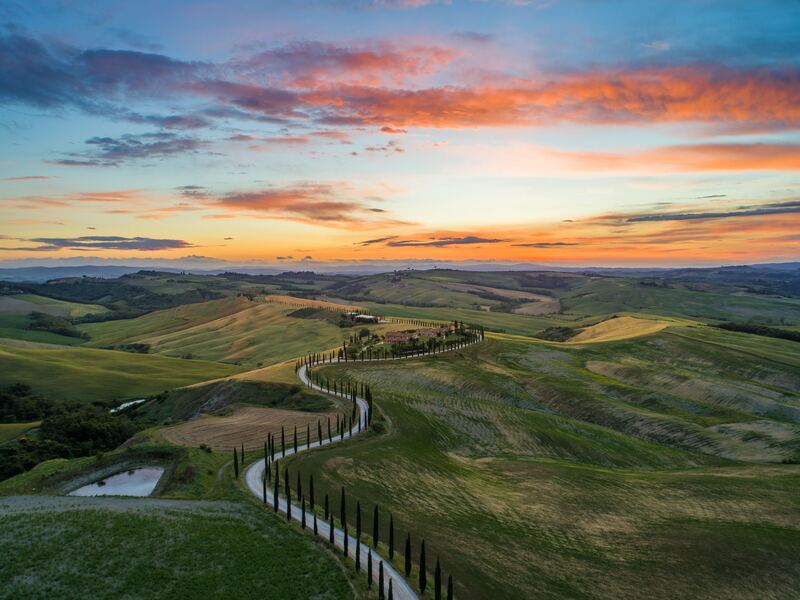 The Internet of Things (IoT) can pave the way. Submetering and Current Transformer (CT) monitoring represent vital tools readily available today. Both techniques can provide valuable insights that will drive various sustainability initiatives in the building. We first detail the differences between electric submetering and CT monitoring then describe practical applications that you should consider today. Electrical submetering works by installing electrical metering devices and associated data acquisition equipment downstream from the main electric utility meter. Electric submeters can be installed at discrete points in a building to monitor energy usage by one or more electrical loads and/or one or more segments of a building. Electrical submeters are generally designed to capture kWh/kW energy consumption data. Additionally, detailed energy parameters such as Volts, Amps, kVAR, kVA, apparent power factor, etc. for diagnostics and monitoring on three-phase or single-phase circuit installations can be measured. Electrical submeters can range in capacity. A common electrical submeter can monitor a single three-phase electrical circuit. In a more comprehensive example, a single electrical submeter can monitor a combination of up to 16 three-phase or 48 single-phase electrical circuits across two separate voltages. Electrical submeters also include communication equipment that enable networking via Ethernet or serial protocols supported by standards such as BACnet® or Modbus®. Electrical submeters connect to individual circuits using Current Transformers (CTs), which are described in detail below. CTs are sensors that measure current on an alternating current (AC) circuit. The basic operation of a CT includes magnetically inducing current from the wire conductor into a proportional electric current in the conductor of the CT. Two primary types of CTs exist: Solid core CTs and Split core CTs. Solid core CTs are generally less expensive, but more difficult to install because disconnection of the circuit would be needed to place the solid core CT around the wire conductor. Split core CTs, on the other hand, can be placed around the wire conductor without disconnection of the wiring. The installation convenience of split core CTs typically outweigh the additional costs when considering retrofit installations. Rogowski Coil CTs represent another type of CT. These rope-style CTs offer significant advantages over conventional split core CTs due to their flexibility in accommodating variations in window size, current range, and installation constraints. CT monitoring can leverage any one of the various types of CTs to provide a measurement of the current on a single AC circuit. The current measurement itself represents valuable information. Electric submetering and CT monitoring have distinct advantages in delivering valuable monitoring information. The particular sustainability objective will dictate which type of monitoring will best serve the end goals. We highlight a few monitoring application examples that demonstrate the value propositions served by electric submetering and CT monitoring. Every entity that has an interest in a building (e.g., building owners and operators, Energy-as-a-Service companies, consultants, engineering firms, etc.) want real-time submetering data to track utility costs per floor, per tenant, per equipment, etc. Rising energy costs have placed a greater emphasis on energy efficiency; all facilities can begin their efficiency journey when provided with granular real-time energy consumption data. Submetering provides the needed visibility. Submetering supports cost allocation amongst tenants, departments, services, or any other accountable entity. Attribution of costs based on actual energy consumption (either efficient or excessive) will provide needed feedback for sustainability initiatives. Behavior changes will follow naturally as entities account for their own activities. Without submetering, many commercial tenants are billed on square footage of leased space. Little incentive exists for tenants to change their energy consumption behavior when costs are shared amongst the entire group of tenants. Revenue-grade submeters can deliver accurate enough energy consumption information to be used for billing purposes for each tenant space. Additionally, submetering enables tracking of energy consumption patterns that can facilitate benchmarking of usage across similar facilities (stores, warehouses, or buildings) over time. HVAC systems represent one of the main sources of electricity consumption in a building. HVAC systems can include critical facility assets such as chillers, cooling towers, Roof Top Units (RTUs), Air Handling Units (AHUs), etc. Many performance metrics have been developed to analyze the efficiency of heating and cooling equipment. Various examples such as the Energy Efficiency Ratio (EER), Seasonal Energy Efficiency Ratio (SEER), Coefficient of Performance (COP), and kw per ton of cooling (kw/ton) can be used to assess HVAC efficiency. Submetering the electricity consumption of individual HVAC assets enables such calculations. Supplementing the submetering information with additional measures such as supply/return temperatures and flow rates can help assess the overall operational efficiency of those HVAC assets. Three phase induction motors convert electrical energy into mechanical energy and have found wide applications in commercial/industrial settings (see the example illustration below). Fans, blowers, pumps, and compressors commonly use this type of electric motor to perform critical functions such as HVAC. Any deviation in voltage and current waveforms in terms of magnitude or phase shift is termed an unbalance. 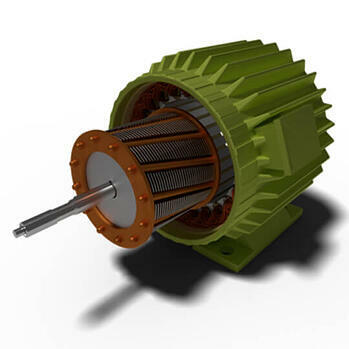 Three phase induction motors with unbalance in its windings will result in varying current flowing in the three phases. Continuous operation of these motors in an unbalanced condition will cause degradation of rotor and stator windings. Unbalance decreases the motor efficiency by causing extra heating in the motor, which can prematurely decompose the grease or oil in the bearings. Unbalanced conditions can be detected using CTs that monitor the current in each of the three phases. Real-time dashboards that visualize the current waveforms for the three separate phases will enable detection of unbalanced conditions from the onset of commissioning and operation. As is often the case, mere visibility into the operational status enables detection of obvious problems. Three phase CT monitoring can detect the root of the problem. ACM commonly uses vibration data as a detection mechanism, but deviations in a vibration profile can represent the symptom of the problem, not the cause. Three phase CT monitoring represents a very simple technique that enables facility management personnel to execute preventative maintenance on three phase induction motors before catastrophic emergencies arise. In its simplest form, a single CT can provide valuable information. The detection of current by the single CT can enable run-time visibility for equipment, whether or not multi-phase power drives that equipment. In various applications, run-time visibility can enable identification of whether unnecessary equipment (e.g., HVAC) runs at night, weekends, or off schedule, or whether necessary equipment (e.g., pumps, garage fans) fails to run when it should. Anytime, anywhere access to run-time information of critical assets scattered throughout a facility will provide key operational efficiencies. Needed feedback will be provided to operators and facility managers in real-time to enable adjustments to equipment schedules or operational parameters. Single CT monitoring brings operational visibility to any electrical equipment. Every sustainability initiative in a building can benefit. Submetering and CT monitoring represent essential tools for sustainable buildings. Your facility can benefit from both power consumption and current consumption monitoring to deliver the green enterprise you can envision.